If any leftists are still reading this after suffering through that wrestling reference, don’t worry; I’m getting get back to the political side of things now. See, it used to be that the most often-used pejorative term amongst Marxists online was the word “sectarian”—in all its various and sundry terms. These days, it seems the best way to roundly condemn a person, a group or a political line is to denounce the m as “revisionist.” But revisionism is too often a term that is subject to broad interpretation among political lines and, consequently, its meaning in a general sense (as well as its most appropriate applications) become easily distorted. 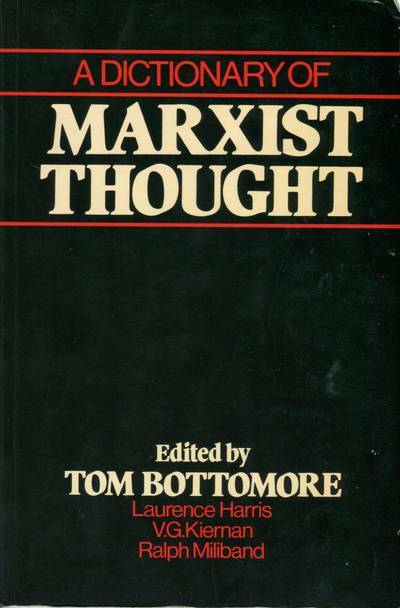 Tom Bottomore’s A Dictionary of Marxist Thought provides an overview of revisionism that, while not completely devoid of problematic language (such as use of the word “courageous” to describe anti-Soviet opposition forces), offers a well-researched foundation that serves as suitable platform for further discussion and analysis of the term. Presented below is the full text of the aforementioned definition, penned by David Coates for the first edition of A Dictionary of Marxist Thought. The definition is provided in its entirety, including all quod vide suggestions, in-text citations and references. revisionism Revisionism can be understood in a narrow or a wide sense. 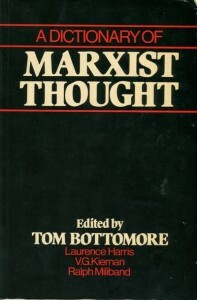 At its widest it is integral to Marxist theory and practice, predicated as that must be on a social ontology which has ‘self creation through labour as the fundamental characteristic of being human’ (Gould 1978, p. xiv), and on an epistemology which has the knowing subject in a dialectical relationship of analysis and action with the object known (see DIALECTICS; KNOWLEDGE, THEORY OF). A body of inherited truths, frozen beyond revision by the pedigree of its authorship, ought to be wholly incompatible with such a tradition of scholarship and political practice; and particularly so under capitalism, where that system’s unique propensity to institutionalize perpetual change, and to create in the proletariat the agency of its own destruction, means that neither Marxist theory nor its associated political practice car afford to atrophy into a set of timeless axioms. It ought not to surprise us, therefore, that ever since 1883 the imperatives of a changing class structure and the ambiguous legacy of Marx himself have combined to make each major Marxist a revisionist by default. 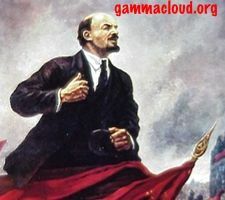 Lenin revise Marx. So did Luxemburg, Trotsky and Mao. Even Engels has been castigated as ‘the first revisionist’ by those who see in his interpretation of Marx’s writings the theoretical roots of a non-revolutionary political degeneration (Elliott 1967; Levine 1975). Yet this serves to remind us that revisionism is rarely understood in so wide and so positive a way. Instead, as later Marxists became adept at legitimizing their own innovations by denying them and tracing instead a direct line of descent for them from Marx’s own writings, Marxism became canonized and revisionism gained a narrower, negative and shifting connotation. Before 1914, in the first general use of the term, revisionism became synonymous with ‘those writers and political figures who, while starting from Marxist premises, came by degrees to call in question various elements of the doctrine, especially Marx’s predictions as to the development capitalism and the inevitability of socialist revolution’ (Kolakowski 1978, vol. 11, p. 98). 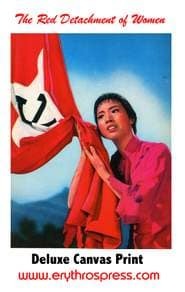 After 1945, in contrast, revisionism became a term of abuse used by Communist Parties to criticize the practices of other communist parties and to denigrate critics of their own policy, programme or doctrines. 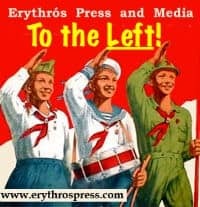 It is important to differentiate these two phases of the revisionist controversy, not least because in the first the term was used to protect the revolutionary current in the European labour movement from the rising tide of conservatism, while in the second it has been mobilized so often to defend a different type of conservatism from critics keen to return to a more independent and even at times revolutionary path. And yet in each period the term was meant to carry the same sense: of a break with the ‘truth’ contained in ‘scientific socialism’ (Marx’s own before 1917, Bolshevik orthodoxy thereafter) that carried with it the associated danger of a reformist political practice that could only reconstitute or consolidate capitalism (see REFORMISM). It was certainly this danger of reformism that inspired Rosa Luxemburg to criticize Eduard Bernstein in the first major revisionist controversy, in the German Social Democratic Party (SPD) in the 1890s. The Marxism that Bernstein sought to revise was a highly deterministic one (see DETERMINISM) which argued the inevitability of capitalist crises, class polarization and socialist revolution. Bernstein challenged the philosophy underpinning these assertions, preferring a neo-Kantianism (see KANTIANISM AND NEO-KANTIANISM) that made socialism desirable without being inevitable. 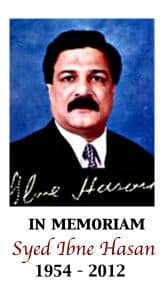 He challenged too the political strategy to which they gave rise, one that declined to pursue that parliamentary alliance with the liberal middle class and peasantry that he saw as crucial to the peaceful and gradual democratic transformation of capitalism. Against the predictions of SPD he offered his famous alternative: that peasants do not sink; middle class does not disappear; crises do not grow ever larger; misery and serfdom do not increase’, and argued instead that socialists should build a radical coalition on the more realistic premise that ‘there is increase in insecurity, dependence, social distance, social character of production, functional superfluity of property owners’ (quoted in Gay 1952, p. 250). It was this revision of Marx’s characterization of capitalism that was formally rejected by the SPD in 1903 but which in the end came to inspire the more moderate politics of the party in the Weimar Germany of the 1920s. The subsequent use of the term has had a different focus and origin, serving mainly to discredit those who challenged the orthodoxy of STALINISM. Tito’s Yugoslavia was condemned as revisionist by the CPSU after 1948, and each side regularly condemned the other as revisionist during the long Sino-Soviet dispute from the late 1950s. Soviet leaders have regularly denounced as revisionist the repeated and courageous attempts of East European militants to humanize socialism there by moderating the political monopoly of the highly bureaucratized communist parties; and the recent attempts by certain Eurocommunists (see EUROCOMMUNISM) to find a third way to socialism in the advanced capitalist countries has been similarly condemned as revisionist by more orthodox comrades both in the West European communist parties and in Moscow. Finally it should be noted that revisionism has also been a feature of the social democratic parties (see SOCIAL DEMOCRACY) that took the Bernsteinian route after 1917. Many of these parties reacted to prolonged capitalist prosperity after 1948 by removing elements of doctrine and programme that remained from their Marxist past (or in the British case, in the absence of such a past, from the socialist consensus of the Attlee period). A new generation of social democratic revisionists declared capitalism replaced by a mixed economy in which further nationalization was no longer necessary and where socialist parties were left only with the task of pursuing greater social equality within a Keynesian consensus. It has been the failure of that revisionism to cope with the return of capitalist crises in the 1970s that has prompted many left wing social democrats to adopt radical policies that are close to certain of the positions taken by Eurocommunism; and in this way revisionism within the communist movement, and the failure of a very different revisionism within social democracy, are starting to erode the divisions within the West European socialist movement that was set in train by the original revisionist debate of the 1890s. Bernstein, E. 1899 (1961): Evolutionary Socialism. Crosland, A. 1956: The Future of Socialism. Elliott, C. F. 1967: ‘Quis Custodiet Sacra? 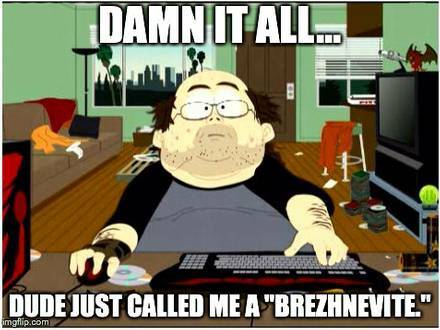 Problems of Marxist Revisionism’. Journal of the History of Ideas, 28. Gay, P. 1952: The Dilemma of Democratic Socialism: Eduard Bernstein’s Challenge to Marx. Gould, C.C. 1978: Marx’s Social Ontology. Haesler, S. 1969: The Gaitskellites: Revisionism in the British Labour Party. Kolakowski, L. 1978: Main Currents of Marxism. Levine: N. 1975: The Tragic Deception: Marx contra Engels. Note: The above-noted selections are presented for purposes of commentary and criticism. No copyright on this material is claimed by this website or by anyone associated with it. Coates, David. “Revisionism” A Dictionary of Marxist Thought. Tom Bottomore, ed. Oxford: Basil Blackwell Publisher Limited, 1985. pp. 423-425. This entry was posted in marxism, professional wrestling, revisionism, USSR and tagged David Coates, marxism, revisionism, Tom Bottomore, WCW. Bookmark the permalink.